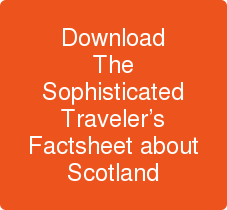 Highland lochs shrouded in mist, a lone piper aloft a rocky crag or an elegant meal of fresh-caught salmon, luxury tours of Scotland fulfil the highest expectations. Fashionistas will be drawn to the notable shopping districts of Glasgow, Scotland’s largest city. Edinburgh shines with a resplendent array of castles, palaces, botanic gardens, and baronic halls. There are places to uncover the history of William Wallace, Sir Walter Scott, Robert Burns and the Loch Ness Monster. Study the traditions of Scottish Highland dress and enjoy the spectacle of the Royal Edinburgh Military Tattoo each August! With a picturesque coastline, wind-swept moors, and quaint taverns for rubbing elbows with the locals, luxury vacations in Scotland are an exciting and enthralling experience.